Part of the world-famous Espace Killy, Tignes is a high altitude resort with an impressive snow record and a wide variety of terrain. Paired with a reasonable price tag and access to some of the best slopes in the world, it’s no wonder why Tignes is a favourite amongst holidaymakers. Tignes is made up of five separate villages with the main resort on the edge of Le Lac sitting at 2100m. And although you won’t see Savoyard-style chalets in the village, what it lacks in architecture it makes up for in incredible off-piste skiing and stunning mountain views. The ski area is connected with neighbouring resort Val d’Isère, therefore offering a huge skiable area to keep you busy your entire holiday (and then some!). So if you’re there for the skiing, you won’t be disappointed. Tignes is also one of the most snow-dependable resorts and boasts a long ski season through until May. 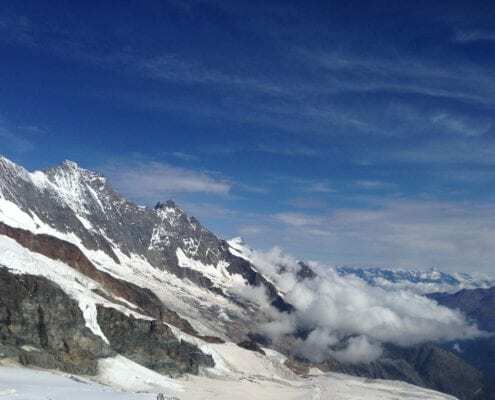 The Grande Motte glacier looms over the resort making an impressive backdrop and offering skiing opportunities in summer as well as winter. Families, groups, and university students alike all flock here to get their ski fix for a reasonable price. And with a huge range of pistes for every level, there is something to suit everyone. Find the lesson that suits you with our Tignes Ski School. 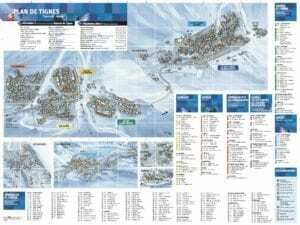 Click on the image to download a high res piste map of Tignes and The Espace Killy. Le Lac has a great beginners area with free lifts and a nice progression from a magic carpet, to the Lavachet Drag and when you’re ready, the beginners Rosset chairlift. Pick you side for your pick of cruisy blues. Head to the Palafour side in the morning while it’s in the sun, or head up the Val D’Isere side to enjoy skiing in the bowl above La Daille. For those looking for a challenge on piste you have the pleasure of Trolles back into Le Lac or pop over to the Face in Val D’Isere. 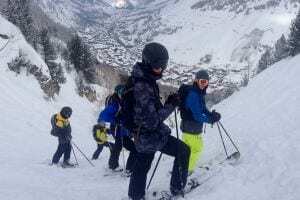 If off-piste is more your thing then venture down Golf for an unpisted itinerary run or hire an instructor to venture further afield into the Chardonnay bowl or the Sache valley (amongst many other amazing off piste areas in Tignes). There’s more to Tignes cuisine than just cheese. Although we have a few Savoyard favourites, that we recommend giving a try, there are also restaurants where you’ll find international dishes. Here’s what we recommend. La Croissanterie du Lac – A fun mix of a bakery/snack bar/bar and it works. Great for quiches, coffees and other lunch goodies. Brasserie L’Arbina -At Le Lac in the centre of Tignes, offering fondues and good pizzas at a reasonable price for the location. Chevallot Bakery (an export of Val d’Isère’s famous bakery) to enjoy beautiful quiche’s, sandwiches and pastries. There is limited seating inside but further seating on the decking to enjoy views of Le Lac if it’s sunny. great coffee just a short ski or a bus ride from Le Lac. La Ferme des Trois Capucines – A family-run Savoyard farmhouse in Lavachet. It’s a short ski from the bottom of the Lavachet drag lift to the right of the bottom of the Paquis and Chaudannes chairlifts. To add to its alpine charm, the children can even see the farm animals that produce the milk for its homemade cheeses. A true culinary delight for both adults and children (booking recommended). dining menu. This is one of Lavachet’s offerings not to miss! Marmot Arms – In Tignes Le Lac, this is a great spot to watch sports games and drink draft beer. They often have live music or DJs so you can stay there all evening. dance on the tables to live music! prosecco and pints as well as their mouth-watering pulled pork rolls. In the evening it offers a delicious menu and often has live music to accompany your post-dinner espresso martini! you’re struggling the next day! If you’re looking for late-night dancing Tignes has a few nightclubs. Head to Jacks Club in Tignes Le Lac, or Melting Pot and Blue Girl in Val Claret. Les Brévières and Tignes itself were the original two villages in the area in the early 1900’s. In the 1920’s rumors started that they were going to create a dam that would completely cover the village of Tignes under a newly formed lake. It was strongly opposed by the locals (and it is possible to still find some of these characters in Tignes today who were sent to jail for attempting to blow up the dam). In 1952 those rumors became a reality and what is now Lac du Chevril sits where the old Tignes village used to be. The dam was meant to provide 20% of Frnace’s electiricity, but ironically, soon after it was created France started using nuclear power and the dam was never used. The lake is now used to charge up a ‘battery’ to store energy that would provide the ski resort with power, if it’s existing supply should fail. The dam has become a landmark for Tignes and now has a huge figure of Hercules painted on its walls, known as the Giant of Tignes. They drain the lake every 10 years or so for maintenance and you can walk around and see the remains of the old village. The money that was paid to the local community for damages in loss of the original village is what helped build the first ski lifts in Tignes in the early 1970’s. These connected Les Brévières with its larger sister skiing and snowboarding resorts and put the village on the map for skiers. 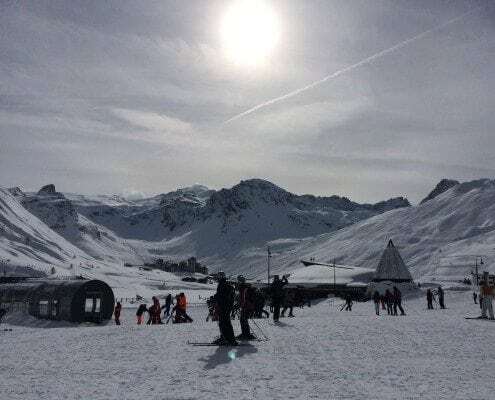 Once Tignes linked up with neighboring resort Val d’Isère, Espace-Killy was created and named after Jean-Claude Killy the famous French skier, who won 3 gold medals in the 1968 Olympics in Grenoble. If you’re arriving by air then you’ll probably fly into either Grenoble, Lyon or Geneva. You can then get a private or shared transfer from the airport to your accommodation. It’s about a 9hr drive once in France to reach Tignes. The benefits of driving are no luggage restrictions and the option of an extra day skiing during a week’s holiday but the tolls can be quite pricey on the motorways so something to consider. Several chalets and chalet-hotels within easy reach of the slopes. This is one of Alpine Elements main resorts with 10 chalets to choose from. Catered and self-catered ski holidays. Catered chalet holidays from an experienced independent provider. Catered chalet holidays for all. Arrange luxury ski holidays; chalets, apartments, hotels – whatever your heart desires. 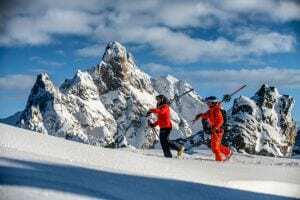 Ski deals and cheap holidays with the biggest tour operators in Tignes. How can I reach my lesson if I’m staying in another village? 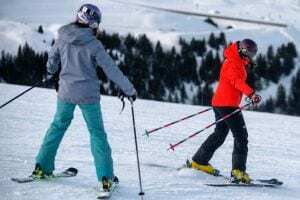 What’s the cost of lift passes? 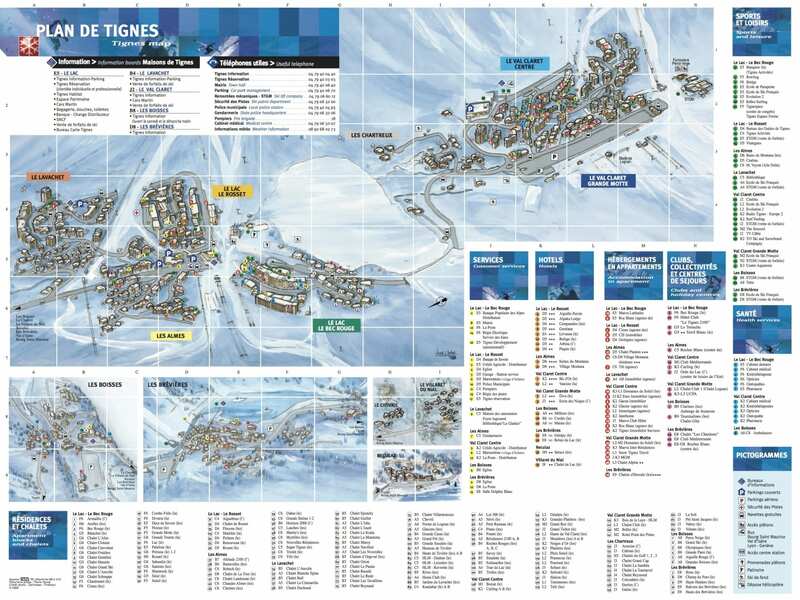 Find all Tignes lift pass options and prices on SkiBonjour’s handy guide. You can check out the latest snow conditions using these webcams. Where can I find more information about Tignes? Carrefour on Rue de La Poste offers good variety and reasonable prices for a mountain supermarket and is open later than other options. For your daily bread or a tasty bakery treat head to Chevallot Bakery along the main road in Le Lac, opposite the Rosset chairlift. Each part of Tignes: Val Claret, Lavachet, Boisses and Les Brevieres all have their own supermarkets and bakeries on the main streets (check opening times of each as they sometimes differ to one another). Rue de la Poste has several good clothes and accessory shops on both sides of the road. Tignes Spirit in Lavachet also does a great range of ski and snowboard clothes… especially good if you need thermal onesies! 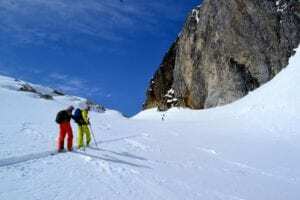 What services are available in Tignes? Doctors – As you drive to the top of the Rue de La Poste the road starts to go back down towards the lake the doctors is signposted on the left. Dentist – Opposite the Post Office in Le Lac but on the opposite side of the road facing the lake. Pharmacy – Half way up Rue de La Poste on your left. Tabac – Along the main street in Le Lac between Escale Blanche and the Loop Bar. Cash Point – One at the Maison de Tignes in La Lac, one at the Poste Office (on Rue de la Poste surprisingly!) and one at the side of the car park in Le Lavachet. Hairdresser – Hair beauté Edwige in Val Claret offers hairdressing in the Sefcotel building. 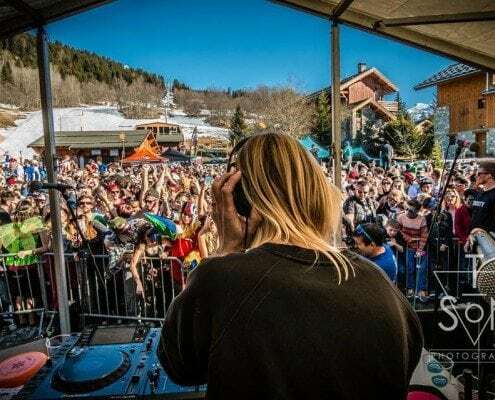 There is no need to worry about what to get up to after skiing, as TIgnes has a number of activities to keep you entertained all day long. Le Lagon: Head to Le Lagon swimming pool in Le Lac for a splash around with the kids. Children under 5 get free entry and you get a free pass per day included in the price of your weekly ski pass. There is a paddling pool for toddlers, and for older children Jacuzzi style under water benches, a cave and a slide where children (or adults) can go head to head! Tignes Espace: Head to Tignes Espace, the sporting hub of Tignes, and book your children onto the trampolines. Right in the heart of Le Lac, a great way to tire the kids out by letting them bounce to their hearts content! Bowling: For the older kids (and adults) book a bowling lane next door to Tignes Espace in Le Lac for an evening’s entertainment and some light competition between the family! Ice Skating: Head down to Tignes lake where the children can try their hand (or feet!) at ice-skating. It’s completely free other than the skate hire which is €2 for under 13s or €3 for adults. Every Thursday there is a “disco on ice” from 20:00-22:00 for any older children/teens that may fancy it, of course this is weather dependent! Sledging: Between the Toviere lift and Le Lagon swimming pool is a small sledging slope, great for races on sledges with a good run-out at the bottom. Sledges can be purchased in all shapes and sizes at most ski-hire shops and if you’re lucky some chalets come with sledges/bum-boards available to use as and when the kids desire! T4 offers a private nanny service in Val d’Isère, Tignes, Méribel, Courchevel, La Tania, La Plagne and La Rosiere. They hand pick nannies who share the belief that undivided attention, fun and getting involved are the key ingredients to a happy family holiday.